One Black-owned company, Toys Like Me, has just released a new collection of plush toys that resemble children with brown skin. 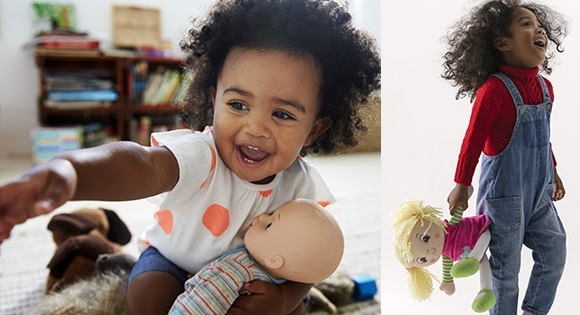 The brand was created by Dante Lee, an African American father from the Washington, DC area, who noticed that major retailers like Walmart and Target carry very few toys for children of color. "I have an 11-year old son," Lee says. "And every time we go to buy toys, there is an obvious lack of diversity in the toy aisle. So, I decided to design and manufacture my own toys that children with brown skin can resonate with." So far, his company is off to an amazing start - averaging $200 to $300 in orders every day. His products currently include backpack dolls and emoji pillows, but he is planning to launch a series of baby dolls, barbie-style dolls, and even action figures.